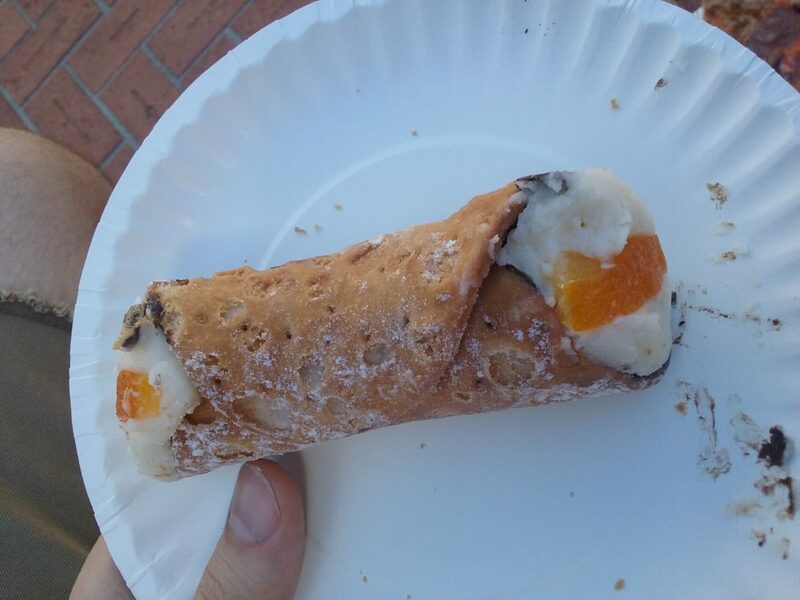 I went to the Italian festival one weekend mostly to find some good cannoli. There had already been middle eastern brunch earlier that day but my friend and I were enjoying another hedonistic weekend. Though this was the first day of the festival, it seemed that vendors were almost out of cannoli and other desserts. They were for sure out of pistachio cannoli -I didn’t even know that was a thing- but they did have the classic candied orange (which was good for my dessert purist friend). The cream was sweet and fluffy as we listened to the Italian band in the sun. It made me wish for my F3’s Christmas pizelles. Because who doesn’t want beautifully ironed cookies. I will have to get the above fancy one because of the pretty patterns.